You do not have to be able to perfectly throw a pitch before you get allowed to wear baseball cap that has the logo of your much loved baseball team. Likewise, it is not a requirement that you have held a baseball bat before you can be given a nice hat that you can show off to your pals. 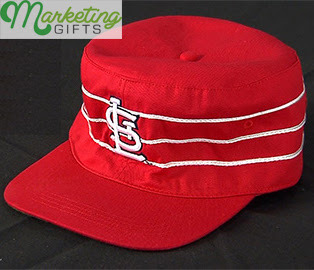 However, you need to be present on July 4th at the match between St. Louis Cardinals and Pittsburgh Pirates so that you can get this awesome Cardinals pillbox baseball cap that is one of their many promo gifts this season. It Attracts More People to Go to the Game. Even though watching the players play and possibly meeting them afterwards are the top reasons why fans come to watch a game live instead of seeing it on a sports channel, the idea of being one of the lucky recipients of a free baseball cap among thousands and thousands of people who have attended the game as well attracts more fanatics to purchase tickets. It Adds to the Overall Ticket Purchases. Since we have already brought up the tickets being purchased in every baseball match, it goes without saying that the sales of the teams and their sponsors also rises because of this is, in fact, a gift with purchase deal. It Gives Fans Something to Remember the Game/Team By. Business aside, the money spent on the game will pretty much be forgotten by the attendees, but not the promo gift that they have gotten from it. Help your customers remember your brand name by taking notes from the promotional ideas stored in the Marketing Gifts blog that you may find useful when marketing your brand.